Homeowners trust in the Coleman Insurance Agency for all their Oldsmar homeowner’s insurance needs. Are you only offered coverage by Citizens Insurance? Coleman Insurance Agency may have a private alternative at an affordable price. We offer policies that provide coverage for your property in the event of theft, flooding and other disaster related damages. Our home-owners insurance staff can help you choose the right insurance coverage to protect you, your family and all of your possessions in the event disaster strikes. 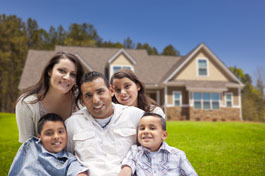 Were you aware that in 2011 around 7 percent of homes with insurance filed a claim? Nearly 98 percent of those claims were specifically for property damage, including theft. The most frequent cause of homeowners claims are weather related. More specifically from wind or hail, lightning or debris removal (according to the Insurance Service Office). Don’t wait until it’s too late. Make sure your policy covers everything in your home and would allow you to rebuild your life in the event of an unfortunate accident. With 8 A-rated home insurance carriers, we can assure you that we will be able to provide the best protection at the lowest cost to our customers. In fact, we represent Florida home insurance companies that beat Citizens’ quotes 80% of the time! At the Coleman Insurance Agency in Oldsmar, we’re here for you! Let one of our home insurance specialists evaluate your current homeowner’s insurance in Oldsmar policy to look for ways you may be able to save on your premiums, detect any potential problems and find you an alternative policy that fits your families exact budget and needs. A Coleman Insurance agent near Oldsmar would be happy to offer a free review of your current home insurance policy. Call us today at 727-441-9911 and speak with a Oldsmar homeowner’s insurance specialist to get you set up with the right policy for your specific needs and budget. You can also get a quote online using our convenient Florida Home Insurance Quote Request tool. Simply enter your name and contact information and answer a few simple questions and you can get a specialized quote in the comfort of your home. Don’t wait until it’s too late, call Coleman Insurance Agency today!